James Degale kicks things off this evening when he takes on the number one ranked Croatian fighter Stjepan Bozic. Degale is continuing to rebuild his career after the defeat to George Groves back in 2011 and has now won all of his five fights since that defeat although his opponents have been pretty poor and tonight he comes up against a fighter who has lost three of his last six fights and Arthur Abrahams knocked this guy out in the second round and I believe as Degale continues his confidence building he should be capable of getting the job done fairly early too. He is 1/16 to win the fight which is obviously not worth touching but Degale to win in rounds 1-6 at 11/8 looks value but for some reason SkyBet also have 11/8 for either to win in rounds 1-6 so it would be foolish not to take that bet instead just in case something goes wrong! Over in California at the Home Depot Centre the main fight of the night is for the WBA Inter-Continental Welterweight Title where reigning champion Marcos ‘El Chino’ Maidana will defend his title against American Josesito Lopez. Maidana is currently ranked 14th in the highly competitive Welterweight division whilst Lopez is ranked ahead of him in 12th place. 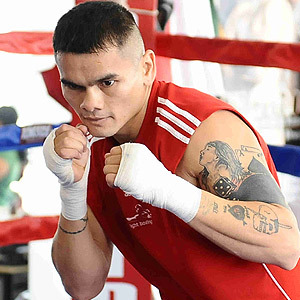 Both have recorded defeats of late with Lopez losing two of his last three bouts which is why Maidana is the favourite for the fight despite the rankings. Lopez has only been stopped once from his 36 fights and that was in his last fight against Alvarez where he was on the canvas in rounds 2, 3 & 4 and then the fight was stopped in round 5 whilst Maidana has never been stopped but has gone on to win 30 of his 33 wins by KO and his last three wins have come by KO within the first eight rounds. This is a tough one to call because I am wondering how much of a confidence blow that defeat was for Lopez but I believe he will look to come out and make a statement, I can see this going the distance but in Maidana’s favour which is available at 7/2 with both SpreadEX and Betway. There is one more fight that has got my attention and that is the return of Chad Dawson who will be having his first bout since losing to Andre Ward nine months ago and he will face 35yr old Canadian Adonis Stevenson in Canada. Stevenson is on a run of seven straight wins and has finished four of those seven fights off within the first three rounds. Dawson’s last six wins have all come on points and just like Lopez I am wondering how his confidence will be following that defeat, he is still ranked as the number two in this division with Stevenson ranked at five. Dawson is best priced at 1/2 to win this fight whilst Stevenson is as high as 2/1 to win in his own back yard. Dawson has not been knocking many out early of late but will be looking to make a statement on his return, in the other corner Stevenson will be looking to make an impression in front of his fans, I can see this being a short fight which could go either way so I will be taking the 5/2 which is available on either to win in the first six rounds with SkyBet.